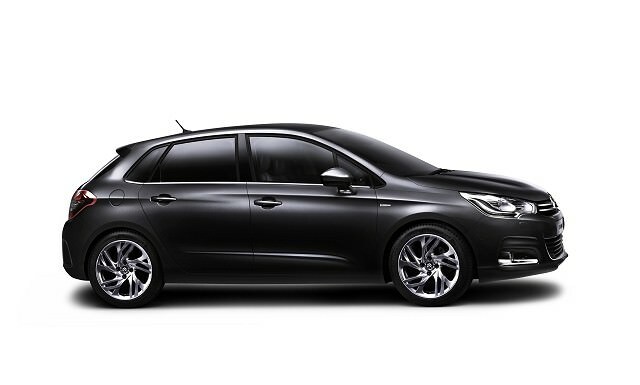 The second-generation Citroen C4 took a step back from the avant-garde styling of its predecessor and settled on a more conventional, if still handsome, look. The second-generation C4 hatch took a step back from the avant-garde styling of its predecessor and settled on a more conventional, albeit still rather handsome, look. Underneath though, it stuck with the old PF2 platform and chassis, at a time when that was ageing and about to be replaced by the more modern EMP2 setup. That has left the C4, which is still in production and in fact has only recently been updated, feeling rather more old-fashioned than perhaps it should have done. Up until 2015, the C4 had an incredibly simple engine range – you could choose from either a 1.4-litre petrol with 95hp and CO2 emissions of 140g/km, or you could go for the trusty 1.6-litre HDi 90hp diesel, which had CO2 emissions of 104g/km. Not the most exciting engine line-up, certainly, but a decent and solid pair of engines. Needless to say, it’s the 1.6 HDi diesel that would be our choice – even if you’re doing relatively low mileage, and need to do the occasional long run to blow the soot out of the diesel particulate filter, it’s still an engine far preferable to the wheezy old 1.4 petrol. That petrol/diesel divide kind of turned around in 2015 with the introduction of the new 1.2 PureTech turbo petrol engine range. These little three-cylinder units, in either 110hp or 130hp forms, are absolute belters – happy to rev, sweet to the ear, torquey and with good real-world economy. Even with the also-upgraded 1.6-litre BlueHDi diesel (with 120hp) the little 1.2 petrol engines would now be our pick of the C4 range, and well worth considering if your budget stretches to a year-old ‘nearly new’ car. Inside, the C4 threw out the ‘fixed-hub’ steering wheel and centre-dash digital instruments of the old model in favour of a much more conservative layout. That’s not necessarily a bad thing though, as with the simpler design came much higher quality than previously seen on a C4 – there are some cheap plastics still, and you’d definitely want to check carefully for any parts that have worked loose or come away altogether, but the overall effect is much better. There is one serious limitation to the C4’s appeal though and it’s in the back, where the seats are very short on legroom compared to the likes of a Golf or Toyota Auris. Headroom is fine, but those trying to fit kids in bulky safety seats in may well struggle. The decent 408-litre boot does sort of compensate for that though, as does the exceptional comfort of the front seats – you won’t find many family hatches with comfier front chairs than these. On the reliability front, the C4 is a step forward for Citroen, but there are still some key areas that need looking at. As mentioned, check through the cabin carefully for any loose interior trim or rattles, and check too that all buttons and switches are working properly. The 1.6 diesel is a long-lived unit, but only if it has been properly cared for. The plastic water pump is a weak point and the cylinder heads can ‘sludge-up’ with waste oil unless high-quality synthetic lubricant has been used at every service. Because of this, you should never buy one without a service history. The optional EGS electronic automatic gearbox needs careful checking too. If it’s making any whining noises or is less than entirely quiet, then the bearings could be on the way out, which is exceptionally expensive to fix. The gearbox has never had a good reputation for shift quality either, with long and irritating pauses between gear changes. Citroen updated and upgraded it in 2015 but even so, it’s best avoided. The 1.4 petrol, meanwhile, is prone to cylinder head gasket failure so keep an eye on engine temperatures and check the oil for any coolant water mixed in. If buying nearly-new (and given the good deals on offer from Citroen dealers this is a viable option) then go for the 1.2 PureTech petrol. If buying an older C4, make sure you get the diesel, stick to a manual gearbox and don’t buy without a very full service history. The C4 is a car you have to really want, not least because you’d have to walk past the likes of the Focus, Golf, Auris, Astra and Octavia to get to one, but for those who fancy something a little different, and indeed those looking for a second-hand bargain, it’s well worth a look.